EMCLH offers a range of services to communities, landowners, local authorities and organisations that want to develop community-led housing. 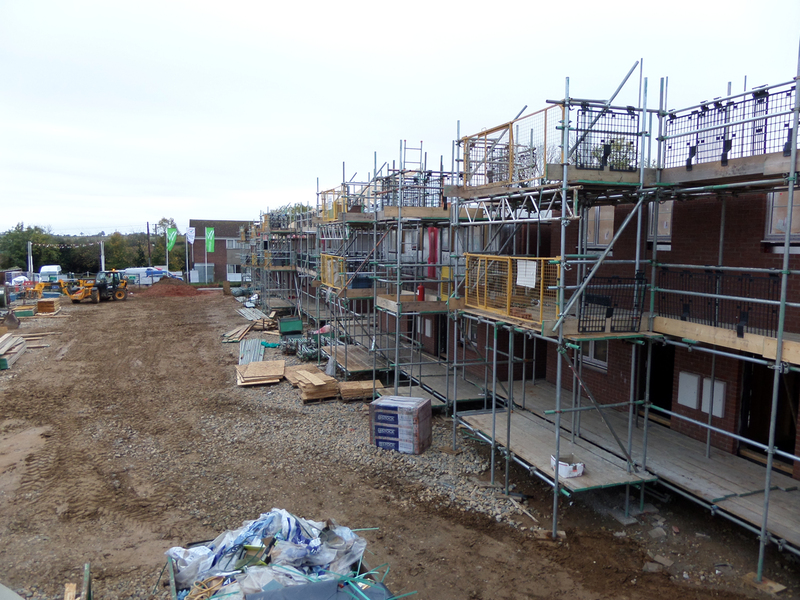 We will work with communities anywhere in the East Midlands and nearby counties that have vision, drive and ambition to develop community-led homes. We can help you gather support for the idea of a community-led housing in your community. This could be leaflets, posters, working with the Parish or District Council or holding a public meeting. EMCLH can help you build interest and support. Not sure whether you need a CIC or a Ltd Company? Never heard of Homes England? Don’t worry; EMCLH Facilitators are there to guide you through the jargon and paperwork so that you remain focused on the business of helping your community. As long as you are committed, EMCLH will ensure that you create an organisation that is fit to face the challenge of owning land or buildings, will stand the test of time and ensure that future generations continue to feel the benefit. If you need development, construction or housing management expertise, EMCLH can help you find the right partners. People matter and never more so than in a building project. Through our extensive networks we know which organisations understand community led housing and can partner with communities to deliver lasting benefits. EMCLH doesn’t only work directly with local communities. We work with a range of statutory and non-statutory organisations to promote community led housing and highlight the massive contribution being made by committed volunteers across the region. Form of partnership – Talking through the options of (1) Stand-alone CLT or (2) CLT/Housing Association Partnership. Helping broker the partnership agreement between the CLT and Housing Association – using our Model Agreement as the starting point. Business planning – Facilitating the CLT vision which will include the projects it may wish to be involved in (housing, shop, pub etc. ), its geographical area and the definition of its community. This feeds into the next item because certain legal formats lend themselves to trading or tax relief better than others. Legal formats and documentation – working through the choice between (1) Community Interest Company or (2) Community Benefit Society (otherwise known as an Industrial and Provident Society) or (3) Company Limited by Guarantee that is also a Charity. Devising the objectives of the CLT and incorporating the new organisation, including the fund-raising needed to pay for incorporation. Finance – This depends on the chosen delivery route. For the partnership route, we concentrate on (1) Raising the CLT’s conveyancing and incorporation costs (c. £5,000), (2) Attracting community-led capital grant and (3) Attracting grant for feasibility work and planning applications. Land acquisition – We advise on the choice of solicitor and can signpost new CLTs to local solicitors that have undertaken work for established CLTs. We also help brief the CLT’s solicitor. We can also provide a template form of lease if necessary (i.e. where the community chooses a local solicitor who may not be experienced in these things). Planning – We will support the CLT in its discussions with the Housing Association and LA about the wording of the Section 106 agreement (where applicable) and aim to see one agreeable to all parties. We will encourage the CLT to contribute a design concept for the Housing Association to consider and also advise the CLT if necessary on planning constraints if need be. Site identification – This depends on what stage the project has reached. If at an early stage we can work with the CLT and Housing Association on the sequential test and feasibility. The aim here is to ensure that any advantage to be gained from purchase of the land by the community is secured (e.g. a site being made available that otherwise might not be, or at a lower price than would otherwise be the case). Development risks – In a partnership scheme, ensuring it is understood that the Housing Association takes the major risks – pre-development costs (except where external grant funding has been secured for this), finance, grant compliance, sales, procurement – and that the CLT helps ensure viability.